Yesterday we talked about brainstorming and determining your theme when planning a party on a budget. After you’ve decided on your theme, you want to brainstorm ideas for your party, using your free printable party worksheet. Once you’ve determined your theme, it’s time to start seeing where you can cut your costs. Shop at home first and borrow from friends. 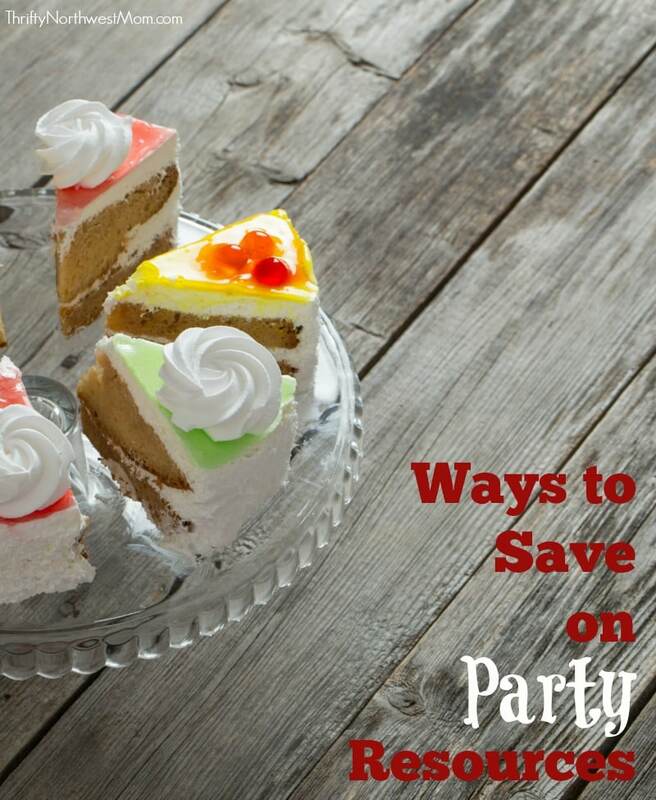 You might be surprised how many items you already have that you could use for your party! Look around the house for items that fit your theme or your color scheme. 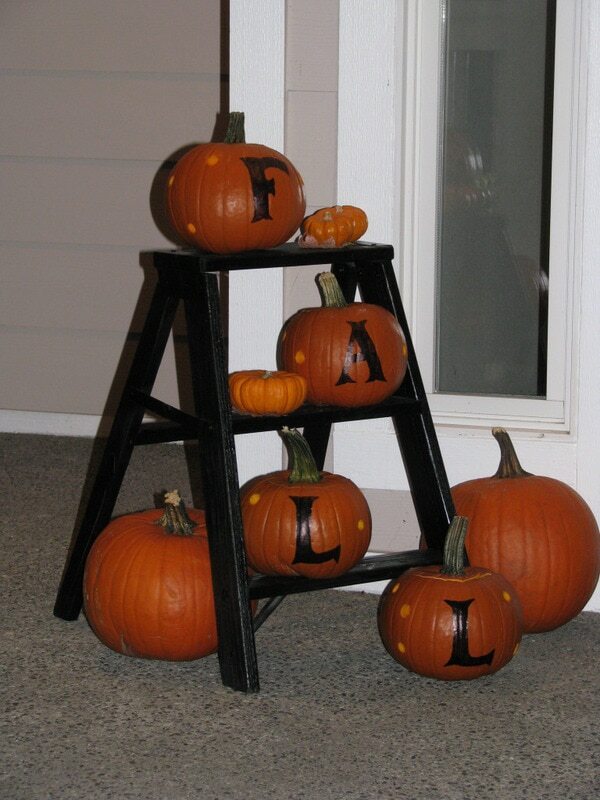 Chances are you have items that will help you create a vignette, cute party display or table scape! When looking for items think outside the box. Look for items that are the same era, theme, colors as your party or items that are neutral enough to be used as props or containers for party items. Some examples are old ladders, child’s chair, stacks of books, trays, cake stands, mason jars, apothecary jars, mini chalkboards, easels, old window frames, toys, stuffed animals, -the list could go on and on! I love thinking of new ways to use items I already have. 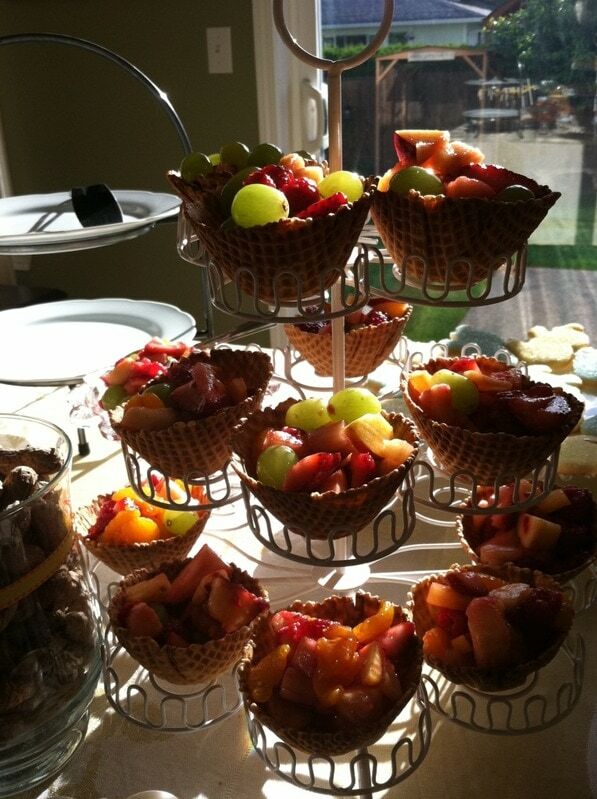 For example, for a fall table scape I used my cupcake holder to hold apples and nuts. I like using an old ladder I have to hold vignette items for a table scape or even picture of the special birthday boy. Children’s chairs work great for holding beverage dispensers and make it easy to fit the cup underneath. I also love borrowing items-especially if it is a very specific item that you most likely will never use again such as a party poster or banner of a specific character. For my oldest son’s first birthday, I did a John Deer theme. Since it was my first kid party, I went ALL out – bought every John Deer thing I could find, even t-shirts for us all to wear! I since have lent out most of those items numerous times! I also really love bunting and banners and have several I have made and I lend those out frequently to good friends. For an upcoming wedding, a friend and I are borrowing barrel tables from other friends and old milk containers to use for displays. It would be far too expensive if we had to purchase these items! For my son’s upcoming party, I am borrowing a bowling bag, pin and bowling ball from a friend for display items. I would have no use for them afterward, so borrowing really helps me still get the look I want without the expense! I do think there are some items worth purchasing to use for your parties that are investments if you will and you can use them over and over again! I would suggest making sure they are neutral in design, color and style. 1. Beverage Dispenser – I LOVE mine so much I have two. I always have water at a party so having one filled with water so guests can easily help themselves is really nice!! I highly suggest the glass ones-I know with kids that can be a little tricky, but the plastic ones really don’t last as long and the acrylic can get spider cracks and can change color if you use them for iced teas or flavored lemonades! Just take my word for it- I have had all three types! There are quite a variety of beverage dispensers on Amazon if you’re looking for different options. Or you can frequently find these at Hobby Lobby, Home Goods, Marshalls, TJ Maxx & more. 2. 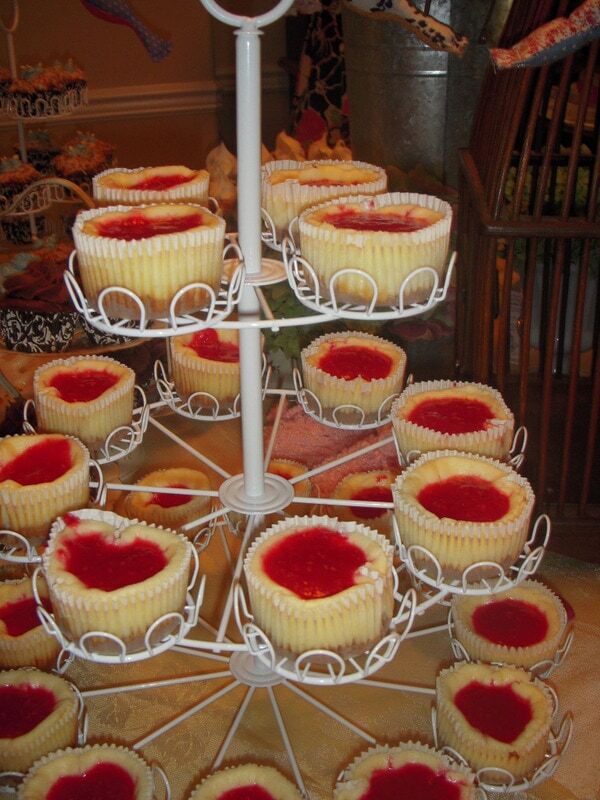 A cake stand (or two or three) – I love cake stands and have been fortunate enough to have been give two beautiful milk glass ones from my grandmother. You can find them everywhere right now! Amazon has a huge selection of different cake stands. Marshalls and TJ Maxx always have a good selection. If you are crafty, making some of your own from vintage plates, candlesticks or wood slabs is super easy!! 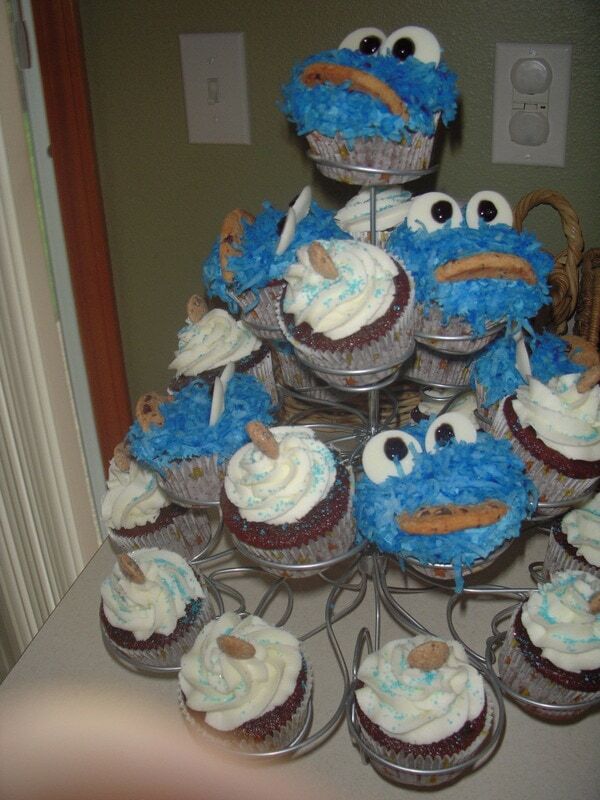 These Creative Notions blog has a tutorial on how to make these – it’s quite simple. 3. Cupcake holder or stand – yes this is similar to number two, but I love my cupcake holder almost as much as my cake stand. One thing I love about it is you can use it for so much more than cake! I have put apples and mini pumpkins in it for fall, fruit cups in waffle bowls, mini potted plants and I am sure there are so many more options! 4. 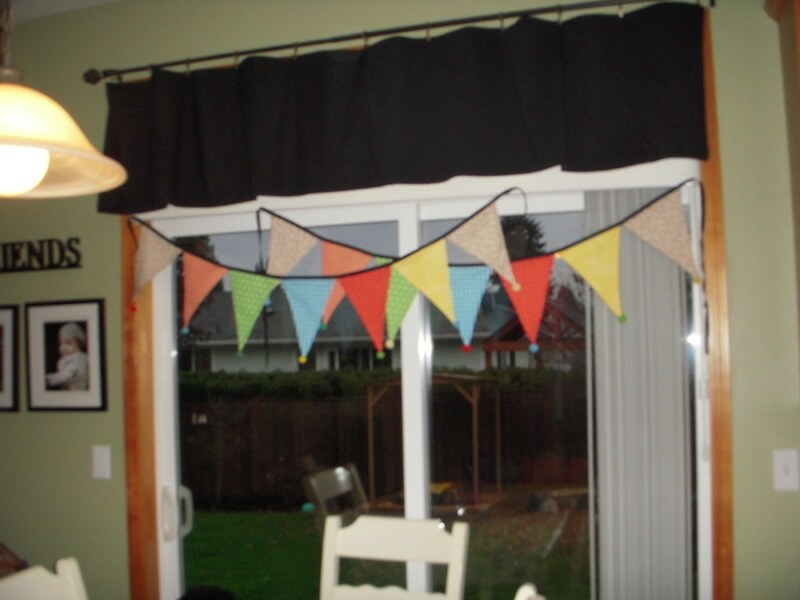 A banner, garland or reusable bunting. I kind of have a banner obsession and really like making them for each party I do, but it is good to have a few “go-to” banners that I can get out in a pinch. There are so many different styles and types of garland that you can find some to fit almost any decor style. Often when I make party banners or buntings for clients instead of saying “happy birthday” we put “celebrate” or “party” on it so it can be used for other occasions as well. 5. Reusable Party cups – You can save on buying party cups for every party by reusing the same ones party after party. Pint-size mason jars can make cute reusable drinkware or collecting different tea cups to use for drinks can make for a fun look for parties! 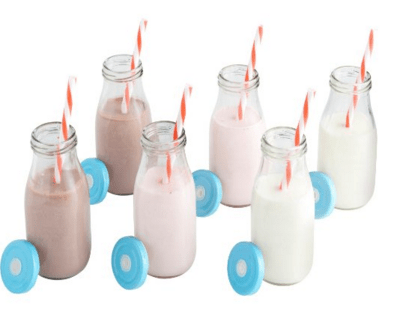 Starbucks Frappucino bottles can also be cleaned out, labels taken off with Goo Gone and washed to use for the cute vintage milk bottle look for parties paired with a fun straw. Or you can buy them all ready to go on Amazon. 6. 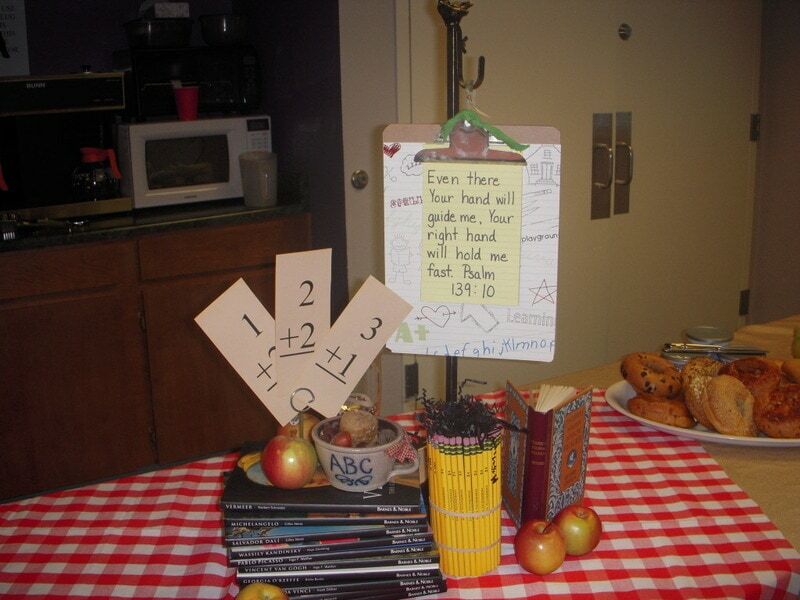 Reusable chalkboards, easel or pinboard for posting party greetings. I have a framed chalkboard hanging in my bathroom that I love to get out at parties and write different greetings, quotes or tape pictures to for parties. It is a home décor item that can be used again and again for your parties. I have also seen where people use an easel out front with balloons tied on it and a party greeting on it to welcome guests. Really there are lots and lots of possibilities and the best part is you can use it for home décor or for your kids to use and play with when you don’t have a party going on! 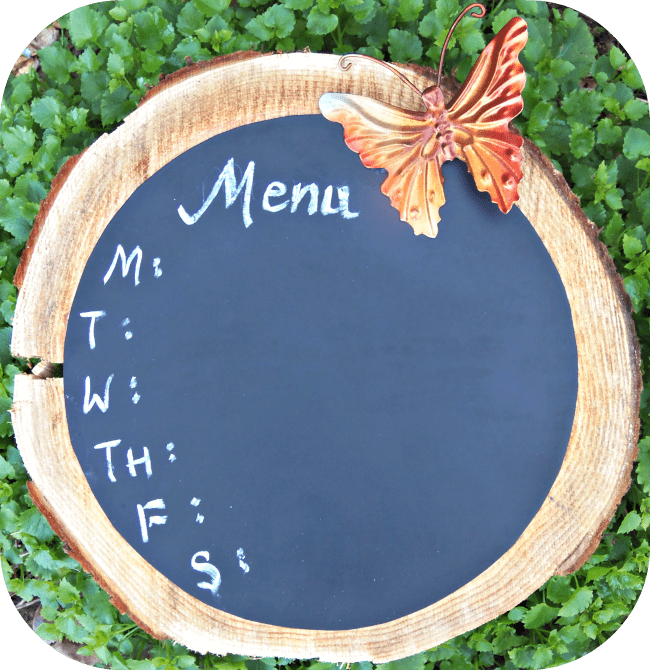 Make sure to check out our post on how to make your own DIY Chalkboard. 7. One or two reusable table cloths. The difference a cloth tablecloth versus plastic can make is huge!! It adds a touch of class and charm to any party. Having a white or cream cloth that can use on your table cloth is really nice. I have had great success at finding nice reasonably priced cloths at second hand stores. Having a neutral one allows you to use other table toppers, runners or even fabric square across the top to match your party theme. I also love using wrapping paper as a table runner-cheap and easy to do!!! 9. One or two basic paper shape punches. These are also items that you could probably borrow from a scrapbooking friend, but I was borrowing so much I finally bought my own circle and square punch. I am so glad I did! They are super handy for making tags for items, I use the circle one for cupcake toppers, and making your own paper garlands. I was able to find one of mine at Value village and the other one I used my 40% off at Michaels to purchase. 10. Camera or photo editing software. I am most definitely not a photographer! However taking pictures of your parties don’t have to be perfect, but just having photos can be so much fun! My boys and I have been looking back at all their birthday parties in preparation for this post and they LOVE it! That is really what parties are all about – making happy memories and celebrating blessings from God! 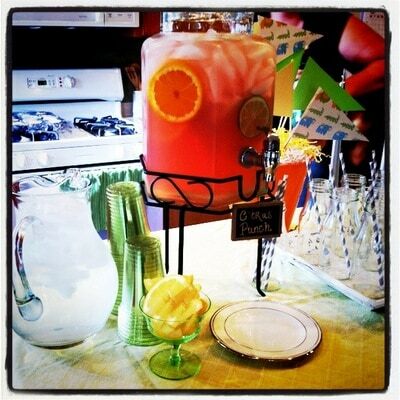 Follow Jen & Sia | Thrifty NW Mom’s board Party :: Ideas on Pinterest. 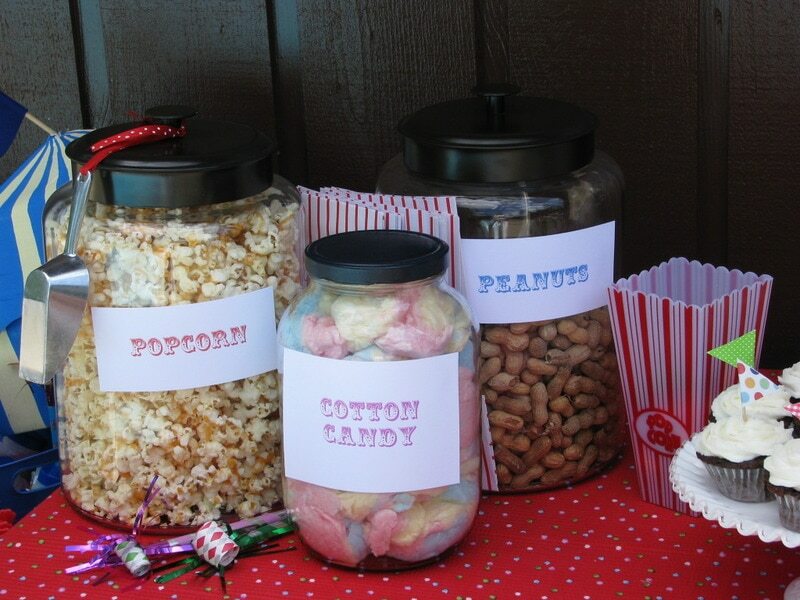 What are your must-have items to have on hand for parties? I’m planning my son’s 8th birthday later this month and these posts are perfect timing for me! Love them! Baskets and platters are GREAT for everything from tableware to displaying favors and they store easily. The other great thing is they are neutral and can be used for a number of different themes. I get mine when Michael’s has a big sale, after holidays, and look in the sale sections of higher end store websites (ie. Crate and Barrel, Macy’s, Williams Sonoma, Pottery Barn, etc…). How do you recreate the vintage milk bottle look?